A single car accident has the power to completely devastate a person’s life. With injuries ranging from whiplash to paralysis, or even worse, many people cannot afford the medical bills that come with their rehabilitation. Having to pay for your treatment all on your own simply isn’t fair. That’s why we feel it is only right for the people who caused the accident to take responsibility for it. The lawyers at The JW Law Firm will fight for you and make sure that you receive fair compensation. You may not fully understand your rights immediately after being in a car accident, but that’s okay. We’re here to help see that you get what you deserve. After you’ve been in an accident, it’s important that you take the proper steps to ensure your health and financial wellbeing. The first thing any person should do after they’ve been in an accident is to immediately seek medical attention. Even if you feel that you haven’t sustained any injuries, you still may have incurred soft tissue damage, i.e. whiplash, a muscle tear, pinched nerve, or bulged disc. You may not be able to feel the effects of these types of injuries right away, but if gone untreated, they can leave you seriously debilitated for some time. Plus, the longer you wait, the worse your injuries may get. That’s why it’s always best to see a doctor as soon as possible. If it turns out that you have in fact sustained injuries, we can use your medical records and documentation to build your case. Your health and well-being should be your number one priority, and we want to make sure that even after you’ve gotten your due compensation that you are able to reclaim the life you had before the accident. For us to build the best case possible, a thorough investigation of the accident must take place. As soon as the at-fault party’s insurance company is notified of the accident, they are going to launch a full investigation with the intent of reducing the amount of money they are going to pay out. To help make your case stronger, it’s important that we do the same. With all of the evidence in place, we will have a better chance at building a case that proves the other driver was at fault. With all the expenses accounted for, we will be able to see what sort of repayment you deserve. After the investigation and evaluation are complete, we can then create a claim that will serve as the basis for your lawsuit. 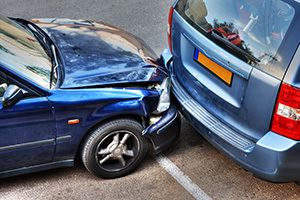 The claim will expound your injuries and damages, the alleged negligence of the other driver, and request compensation. Your claim is vital for receiving a reasonable settlement or verdict. For this process to go as smoothly as possible, we prefer to approach the other party or parties and attempt to reach a settlement before filing a lawsuit. This is the quickest way for you to receive repayment for your damages. However, if a settlement is not agreed upon, we will submit your claim to the court and begin the lawsuit process. It is still possible for a settlement to be struck even after this happens, but if not, we will proceed to court and present your case. Then it is up to either the judge or jury to decide on the amount to which you are entitled. Because Georgia is a “fault” car insurance state, claimants typically seek compensation from the at-fault party’s insurance company. However, many times what will happen is the insurance company will try to get you to sign a settlement that may not be in your best interest or what you deserve. You have to remember that these companies’ number one priority is to give you as little money as possible. This is why it’s best to have a lawyer by your side when taking on the insurance company. Signing anything they give you or providing them with any information regarding the accident could greatly hinder your pursuit for compensation. The only people you should be sharing information with are your lawyer and physician. We know how to negotiate with the insurance companies and get you the fair amount. If you or a loved one has been injured in a car accident, call The JW Law Firm. We’ll fight for you and make sure you see just compensation.